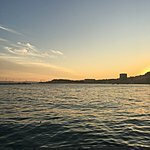 Arrive in the city of Zadar, an ancient walled port city. Spend the day exploring the rich historic center starting at the Sea Organ passing the 12th-century cathedral and the church of St Simeon. Falkensteiner Club Funimation Borik is located 2.5 miles from the center of Zadar and is well known for their award-winning spa center, pools and water sports facilities. The hotel is located next to a sandy beach and offers all-inclusive packages. Budget: Hotel Mediteran is 2.5 miles from the center of Zadar and a 10-minute walk from the beach. On-site, pool, restaurant and bar with breakfast included. Krapanj is the smallest inhabited island in Croatia, and right off the coast of Brodarica, just south of Sibenik. It has a long history of deep sea diving to harvest and sell sea sponges, which was the major income for families living on Krapanj. Due to the dangers of this occupation, it is no longer as popular but it has given rise to a great scuba diving, freediving and spearfishing culture. Krapanj is not as popular as the other islands, as it was slow to rebuild after the Croatian War; in order to keep the island’s heritage, they decided not to build a bridge to connect to the mainland. Hotel Spongiola is the only hotel on the island of Krapanj, which offers a spa, restaurant, pool, gym, and free boat transportation. It is a great spot for scuba diving as they offer diving trips and equipment. Depart Krapanj and head to Skradin - a 25-minute drive from Krapanj, just north of Sibenik where the National Park Krka is located. It is similar to Plitvice National Park with its waterfalls, but unlike Plitvice, you can swim in the lakes here. Skradinski Buk is in the town of Skradin which is 11 miles from Sibenik and offers family rooms (apartment style) and a restaurant on site. Breakfast is included. 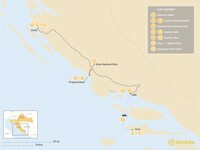 Hotel Niko is located within Solaris Holiday resort, located near a 2.5-mile long pebble beach and 4 miles from Sibenik. The hotel has multiple pools, restaurants, cafes, and bars and has rooms that accommodate families. Half board included. Guesthouse Ankora, in Skradin, is only a 5-minute walk from the Old Town. Apartment style rooms come with a patio and a kitchen. A grocery shop is nearby and restaurants can be found in Old Town. Depart from Skradin and drive one hour to the coastal town of Split. If you have time on the way to Split, stop in the UNESCO World Heritage town of Trogir. The town is surrounded by15th-centuryy walls, with narrow medieval streets winding through the town. Visit the Venetian Cathedral of St. Lovro and the Church of St. John the Baptist. Arrive in Split and explore the Old Town's narrow alleys, walk around Diocletian’s Palace and take in the history. 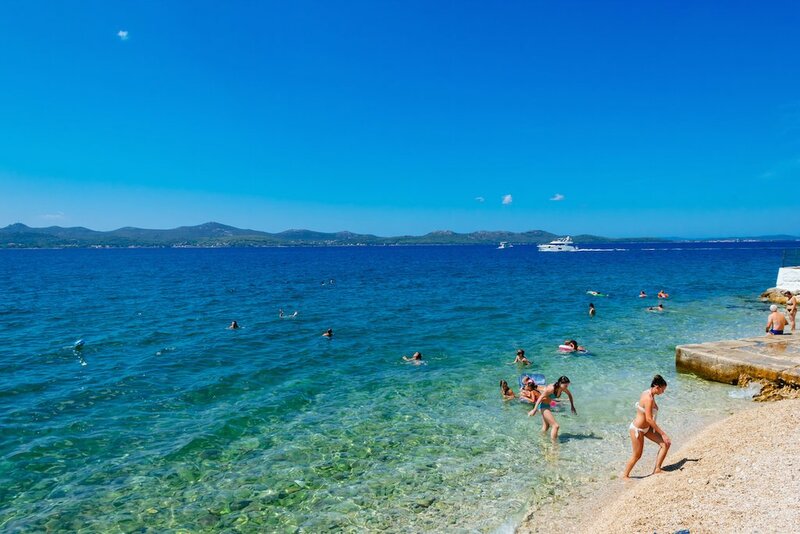 The next few days you can explore Marjan Hill, rent a bicycle and cycle around the park, visit Kasjuni beach or go on a full day sailing trip to Brac island for swimming and snorkeling. Le Meridien Lav Split, in Podstrana, 5 miles south of Split, is located on the beach and overlooks the city and nearby islands. With tennis courts, pools, spa, and the Marina Promenade with 6 restaurants and bars in the resort. Depart Split and take a catamaran to the island of Hvar, one of the most popular islands in Croatia. The one-hour ferry ride drops you off right in Hvar town. Check out more things to do in Hvar, such as sailing to the Pakleni islands, beach hopping around the island, rock climbing, hiking, and renting bicycles. Amfora, is a 10-minute walk from the center of Hvar town and located on a quiet bay with a private beach. A multi-level pool, gym, restaurant and bar are on-site. Villa Nora Hvar, located in the center of Hvar Town, is an apartment-style villa and housed in a former palace from the 14th century. There is a very popular restaurant on site, and bars and cafes, a beach, all close by. 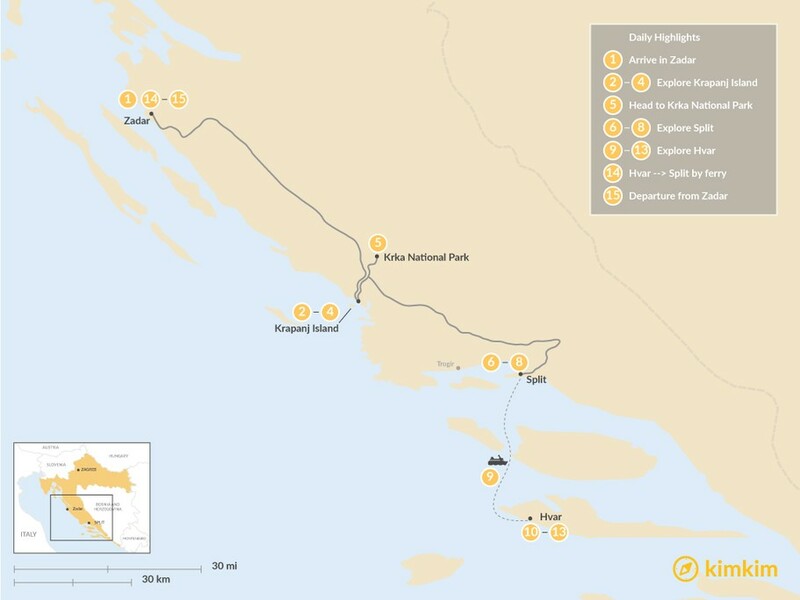 Depart Hvar by ferry to Split, then transfer to Zadar where you’ll spend the last night. 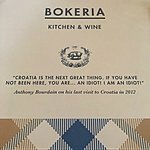 Enjoy your last night in Croatia and eat at one of these recommended restaurants below for Dalmatian cuisine. Pet Bunara is a popular restaurant serving traditional Dalmatian cuisine, like homemade pasta, octopus and Zadar fig cake. 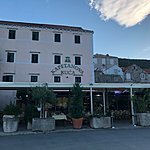 Kornat, located on the harbor front, serves delicious Croatian seafood. Kastel, located in the Hotel Bastion overlooking the harbor, offers a fine-dining experience with a modern take on traditional Croatian cuisine with a mix of French and Italian.